The Ting Tings: The definitive incarnation of the modern band? This week in a blaze of confusing controversy, The Ting Ting’s are back for a belated second album. You will remember them, of course as the duo behind the charmingly irksome number 1 single That’s Not My Name and the ipod advert theme, Shut Up and Let Me Go, both of which spawned from their 2008 album We Started Nothing. Originally written after their previous band collapsed, and they were chucked from their record label, We Started Nothing is a delightfully bratty, catchy record, pitched midway between Punk and 80s pop. It was an enourmous hit, mainly on the back of That’s Not My Name (which started life as a b-side, but a push from the NME, and airplay on Radio 1 got it a proper release) and for a summer at least, their songs seemed to soundtrack every advert. This is part two of my complete guide to Madonna’s albums. Part One you can find right here. Coming off the back of Erotica and Bedtime Stories, Madonna was, perhaps for the first time out of…erm, vogue with pop music on mass. She followed Bedtime Stories with a compilation album of classy ballads (Something To Remember) which did point at what she was listening to at least, with a Massive Attack collaboration opening the album. She then did Evita, which provided her with Don’t Cry for Me Argentina and You Must Love Me, both top ten hits. Two years of radio silence followed Evita, and it has been quite a while since a proper new album, and arguably as far back as 1989 since a great Madonna album. Ray of Light is a big, bold, brilliant comeback album. 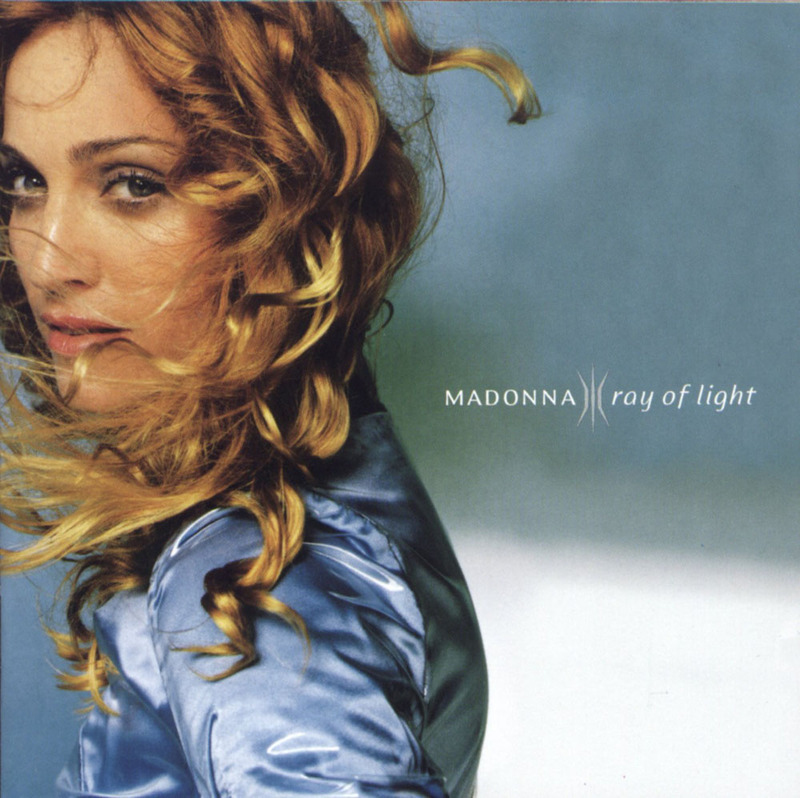 Produced by William Orbit (Madonna is always at her best with a great producer to offset her) Ray of Light is a million miles from Bedtime Stories, and perhaps everything else she had done up to that point – despite previous attempts this is her smartest, most grown up record.